Manufacturing Update – The First Signs! The last weeks where all about the final details and shipping arrangements. But, it’s all shaping up to be pretty awesome. 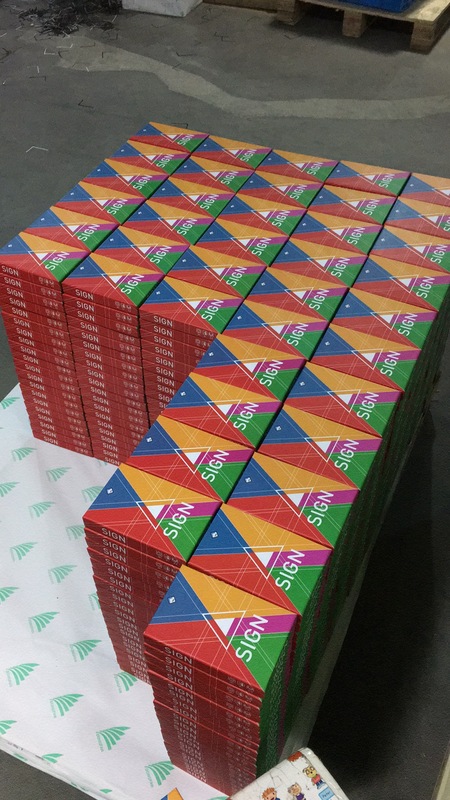 Our manufacturer in China has been working hard on manufacturing Sign, and the result is sheer awesomeness! These are not even half of the final packages! Printing is done next week, and the games will hopefully move quickly towards you after that! We are shipping Sign to 17 different countries directly from China. So hopefully you will all receive your copies as soon a possible!